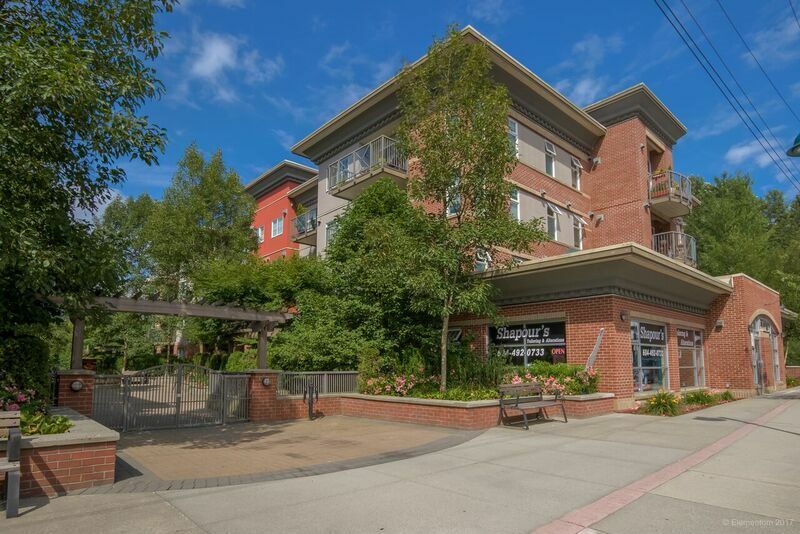 Welcome to THE SQUARE - centrally located in the heart of Port Moody. This unit has been beautifully maintained! Features include granite counter tops, breakfast bar, a large pantry for storage and stainless steel appliances in the kitchen. The spacious living room features lots of natural light, a cozy fireplace and sliding glass doors out on to your LARGE and private patio (a gardener or entertainers dream)!! Unwind in the large master with walk-thru closet and 4 pc ensuite. An additional bedroom and bathroom can be found on the other side of the unit. Bonus features: Insuite Laundry, 2 parking stalls & storage! Rentals Allowed! Close to Rocky Point, 'Brewers Row', Suter Brook & Newport Village, West Coast Express and STEPS to the new Skytrain.